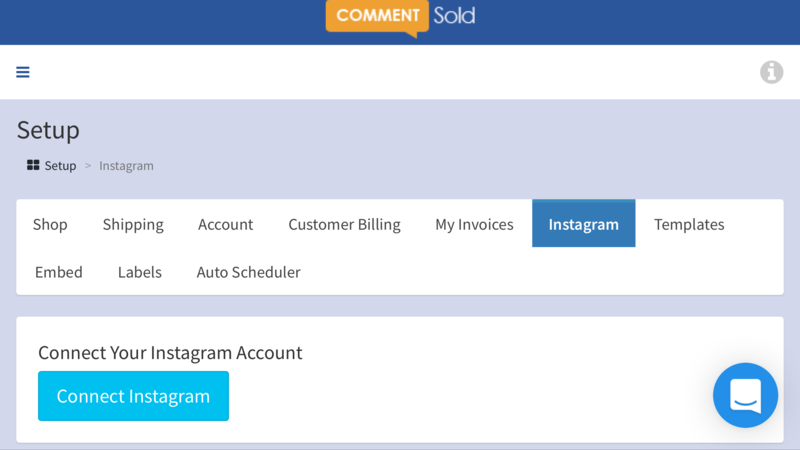 Instagram Setup | CommentSold Help Center! 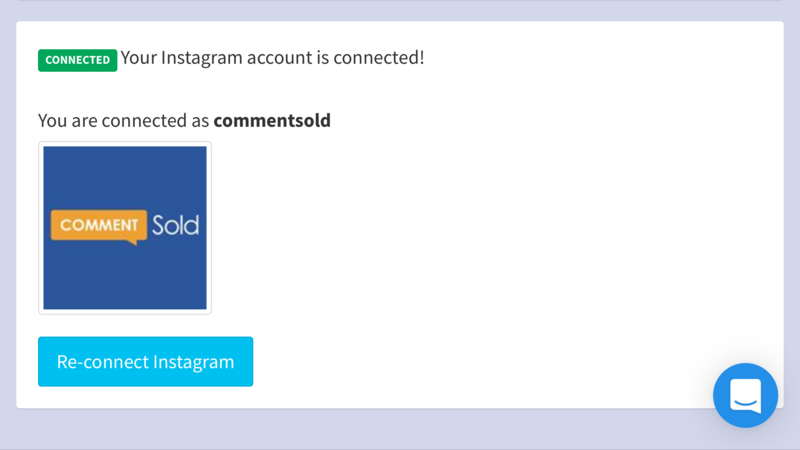 How to setup Instagram and get it integrated into CommentSold! It's very simple to get setup and I'll walk you through every step. Don't give up! 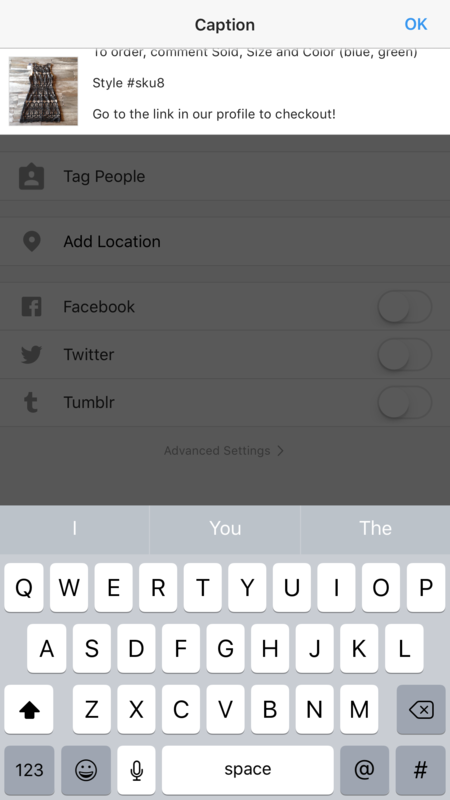 Simply go to Instagram Setup to start. Just like Facebook, you are going to grant CommentSold permission to read comments for items that you post to Instagram! After connecting, you will see your Instagram account authorized! 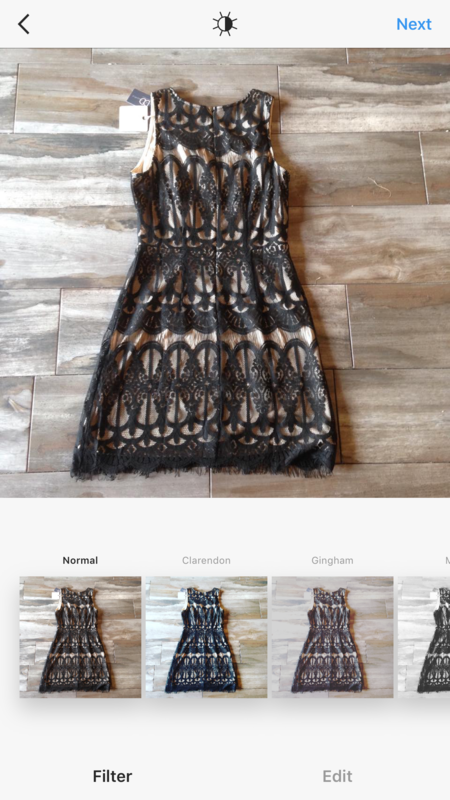 Now you are ready to post products to Instagram. 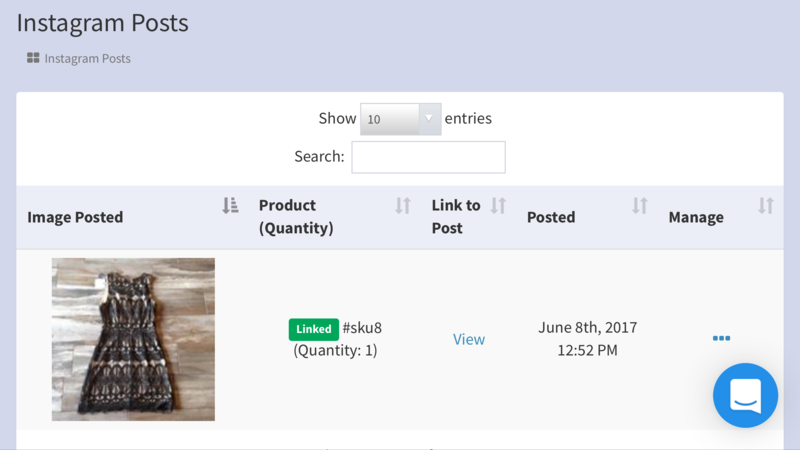 Simply go to the Products tab and find the product you want to post. 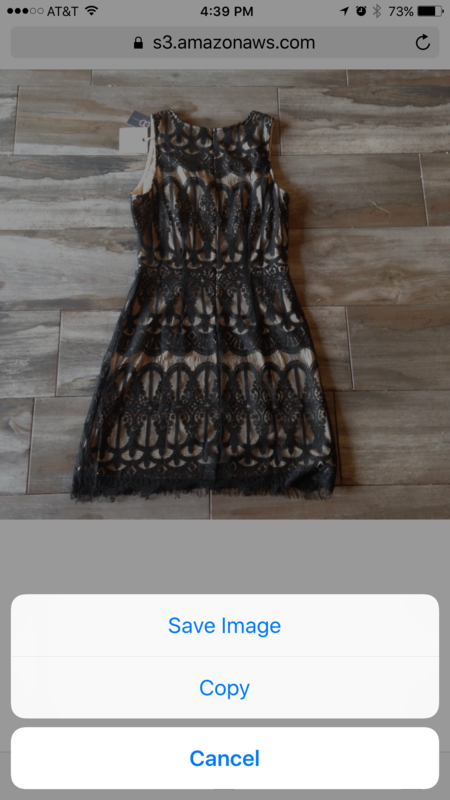 We want to download the photo to our phone/computer, and also copy the description. Click on the three dots next to the product and first click "Download Image"
After you've saved the imagine, go back to the three dots and this time we will click "Copy Text"
You can use whatever filter/effects you want! On the next screen, we will paste the description we copied earlier. 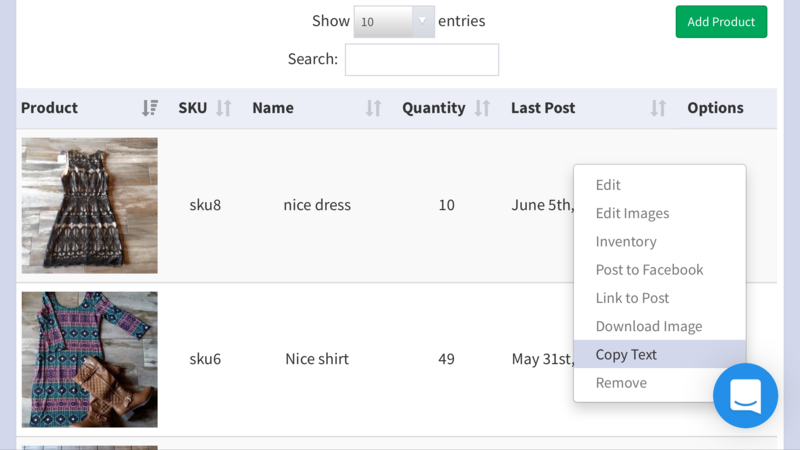 If you go back to your Instagram Posts in CommentSold you will see the Instagram upload automagically linked to your product! As always, please let us know if there's anything we can help with! 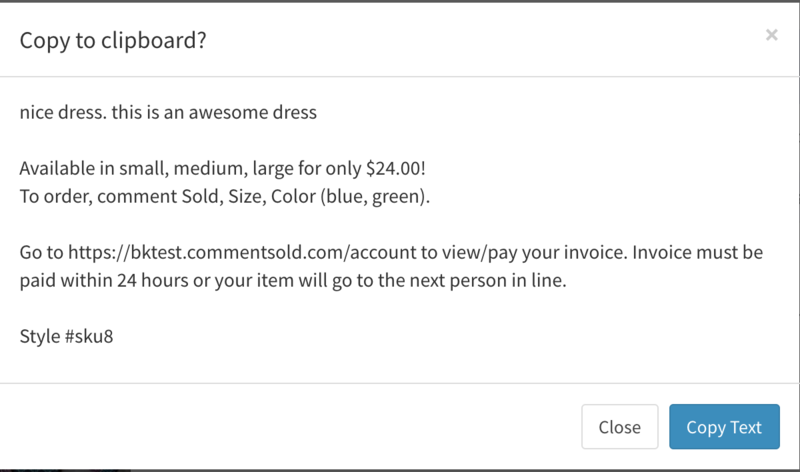 Your customers will still go to yourboutique.commentsold.com (You will want to put this into your profile for them to find it) to login/checkout. At this time, they will have to login with Facebook first and then link their Instagram. We are working on a way to let them use either/or and then link them together after the fact. By doing this, if they were previously a customer, all their saved credit cards, address, order history, Messenger, etc is saved and copied over.